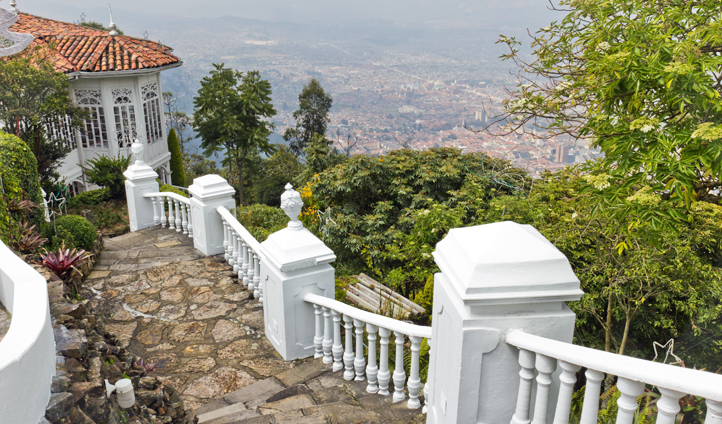 Over 10,000 feet above sea level (in one of the highest cities in the world), Bogota’s Monserrate Hill will offer clarity, perspective and breath-taking views of the urban sprawl below; sounds much better than the Monday cobwebs, right? Active souls can make a day out of Monserrate by hiking up, stopping every now and then to enjoy views that get better as you ascend. Those of us who are less…’brave’, can catch a cable-car to the top and enjoy the scenic sights as you’re carried further away from the hubbub of Bogota and edge closer to the serenity atop the mountain. Standing next to the 17th century church that’s perched on the mountain-side, you’re sure to be blown away by your new-found perspective. When you finally snap out of the trance that this view will put you under, you might feel a little peckish (especially if you hiked up…), so the quaint eateries dotted around the mountain top will be a good place to grab some lunch.